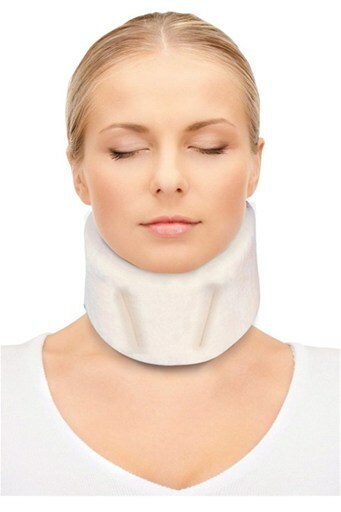 cervical strain/spasm and tension headache. Comfortable use for day or night. Made of soft poly-foam material. Adjustable with fastener.